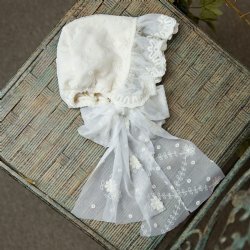 This Frilly Frocks "Evelyn" heirloom infant tutu set truly speaks for itself. It is just too adorable and precious for words! Simply perfect for special occasions and anything she has planned on her social calendar! 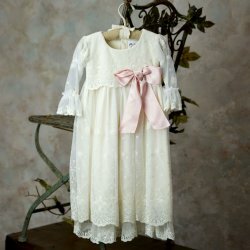 Tunic top features an abundance of vintage lace at the wrists, collar and drop waist, that's accented with with soft pink bow. 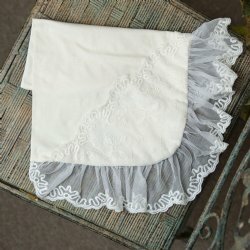 Pull up pants are embellished with tiers of lace mid-calf. Consider adding the matching headband for a complete outfit from head to toe. 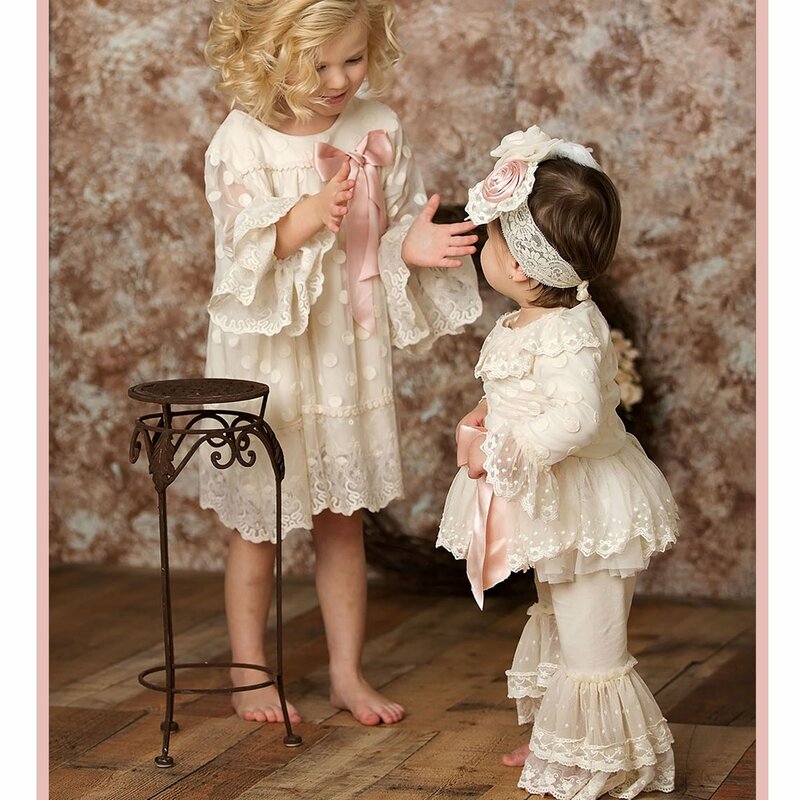 Frilly Frocks is a division of Haute Baby and the sizing is the same as noted in the size chart below. Size: Select One 12 mos. 18 mos. 24 mos.